Every second Wednesday of the month September through June, we celebrate our community with fun-filled, nutritious lunch, prepared onsite by our cook, supported by volunteers. This season we have been celebrating biodiversity. 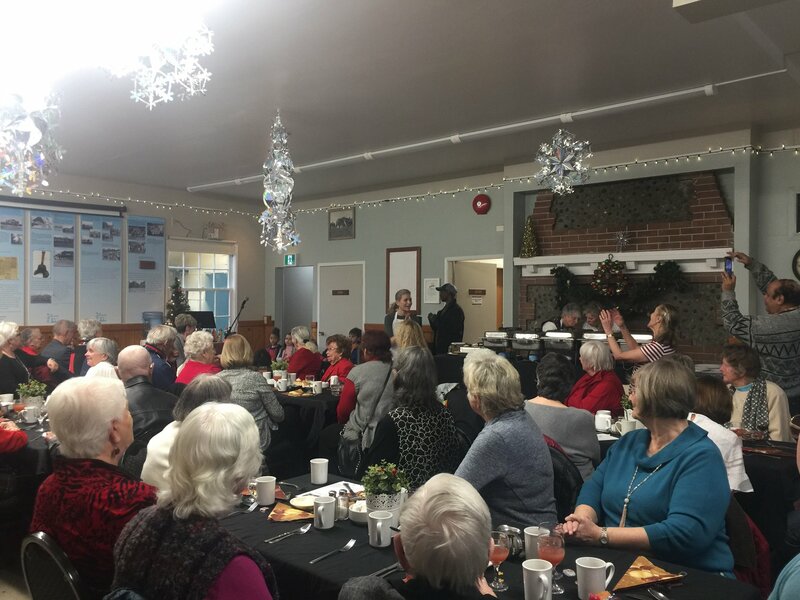 Join us May 8 for a meal of meatballs in forest mushroom sauce, penne pasta, steamed green peas and carrots and blueberry coffee cake with whipped cream for dessert, all for the low cost of $10 ($8 with membership in Alexandra Neighbourhood House). Musical entertainment and a “fun facts” quiz with prizes will follow! Attendees must register so call our front desk at 604-535-0015 or register above to get in on the fun! The "ladies who lunch!" - or, more appropriately, "the ladies who prepare, serve, and clean up after lunch!" 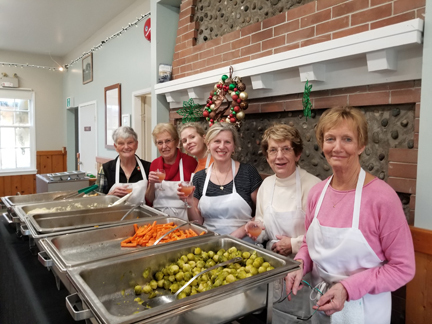 Our warm gratitude to our kitchen volunteers and Alex House caterer Eva Sznajder for all they do to make our monthly Celebrating Community Lunches happen. 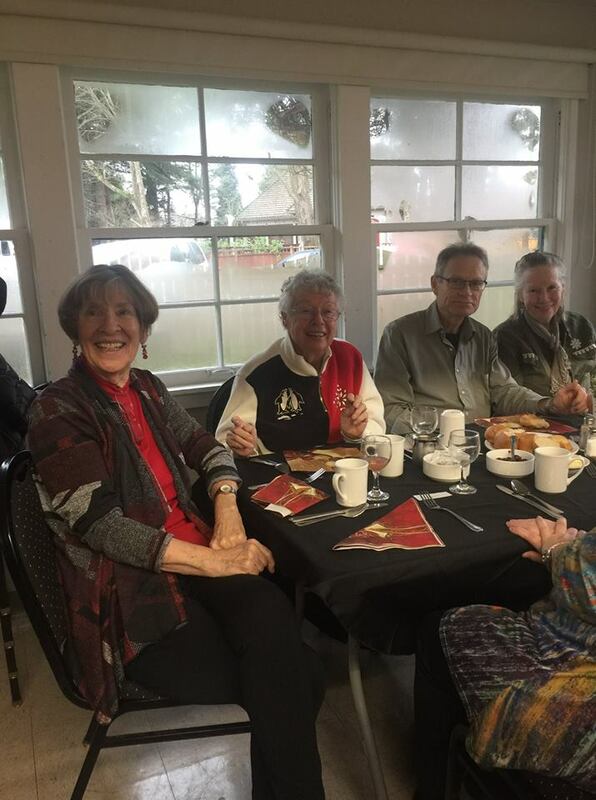 Here they relax with punch after creating an intimate lunch for eighty at our popular Christmas meal.